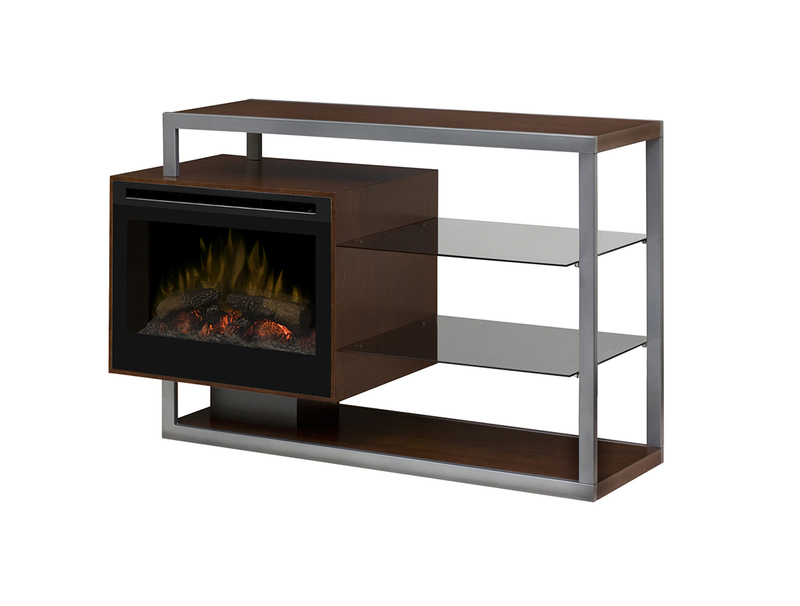 This contemporary media console boasts the perfect balance of wood, glass and metal. With the ability to position a firebox on each side of the console, it is completely reversible. 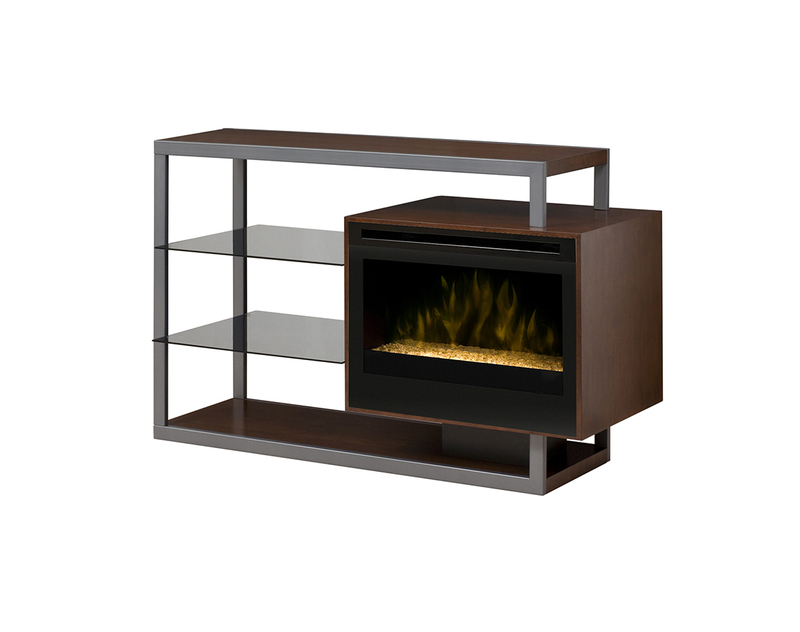 For the daring consumer this media console can house 2 fireboxes and be used as a room divider. The beautiful walnut surfaces are framed by our graphite finished metal providing form, function and simplicity in its design. 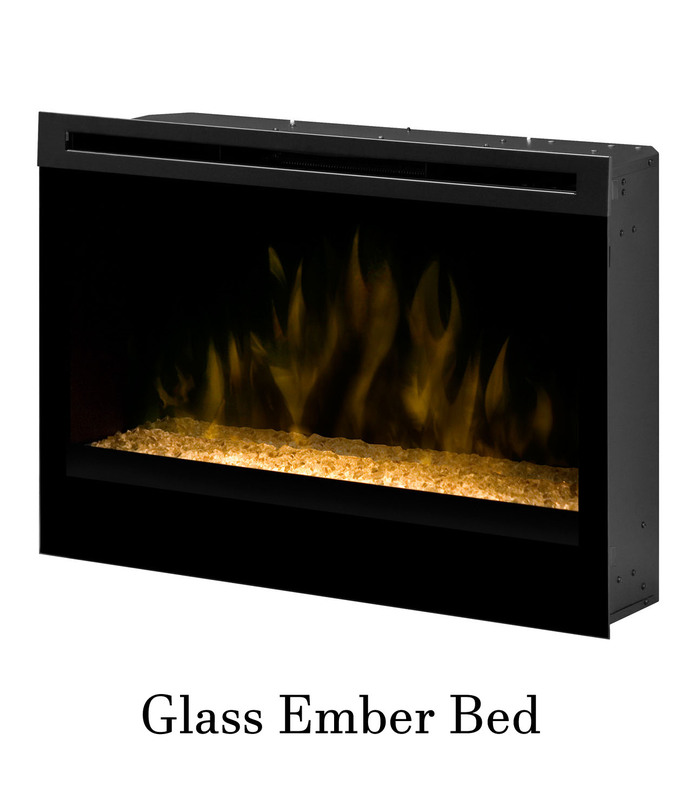 Choose between the elegant tumbled glass ember bed (as shown) or traditional patented LED log set. Flame technology: Our patented flame technology creates a truly realistic fireplace, giving the fire its depth and dancing flame that you will only find with Dimplex. 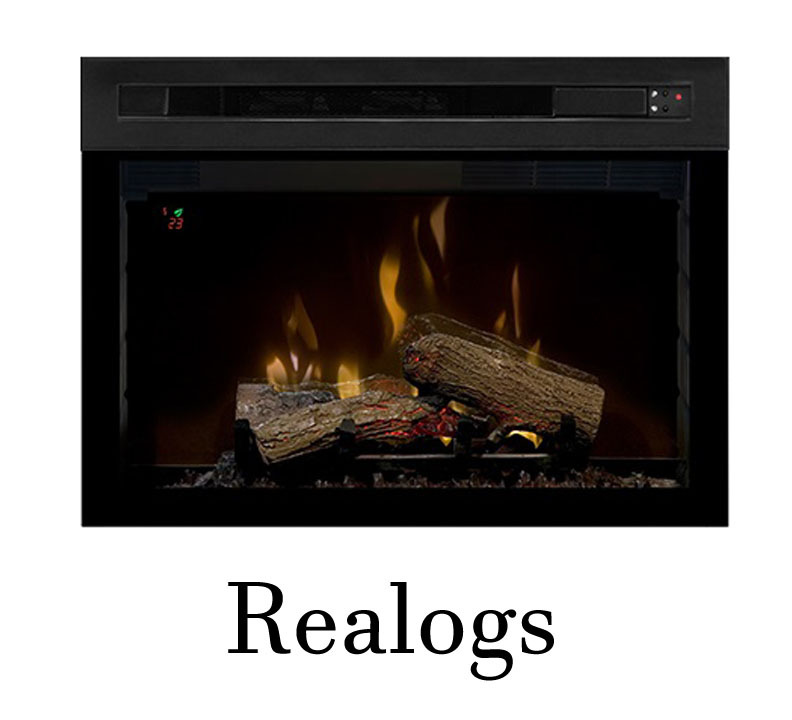 Quick Assembly: Sets up in minutes with step-by-step assembly instructions allowing you more time to enjoy your fireplace. On/off remote: Includes a convenient easy to use on/off remote for control at your fingertips.